Every Friday, Madame Morbid customers will get special access to Brooklyn Brewery. 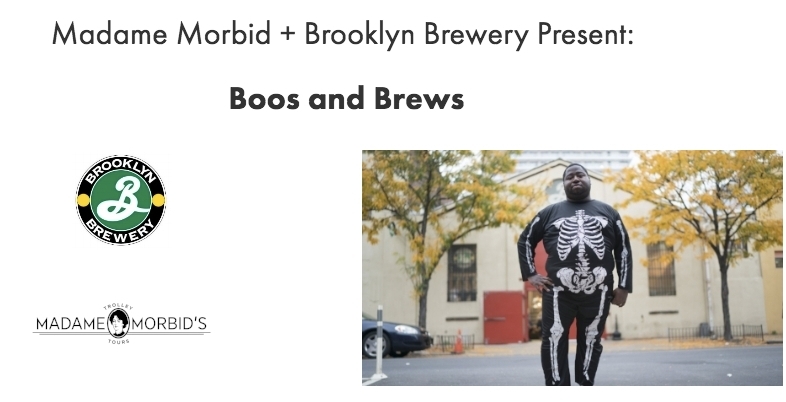 Madame Morbid's Trolley Tours is teaming up with the Brooklyn Brewery every Friday for "Boos and Brews." Take a ride throughout Brooklyn on our Victorian trolley and learn all about the borough's dark history. And nothing makes you thirstier for spirits...than spirits! Customers will be able to skip the line at Brooklyn Brewery and get a free beer inside the Tasting Room.